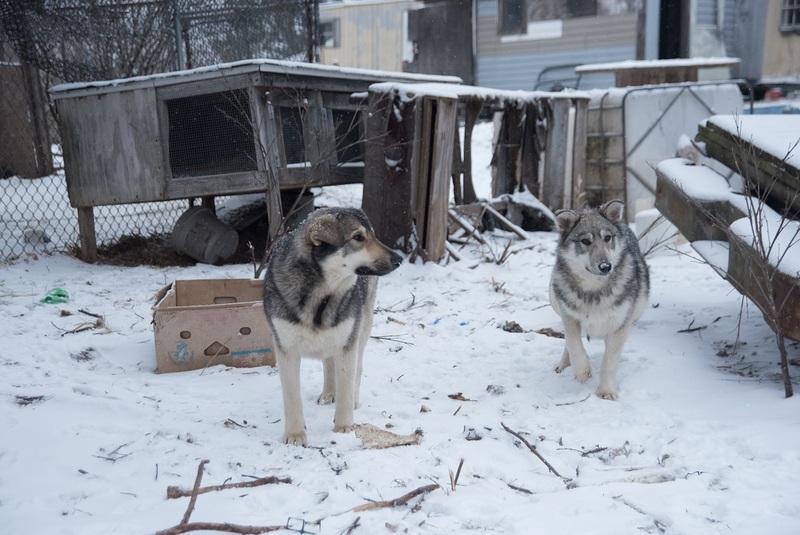 Last week, ASPCA responders helped rescue 38 dogs alleged to be wolf-hybrids and 14 horses from a property involved in an animal cruelty investigation in Crandon, Wisconsin. Below, view exclusive photos of this life-saving operation, and please consider making a donation to support these and other rescue efforts nationwide. 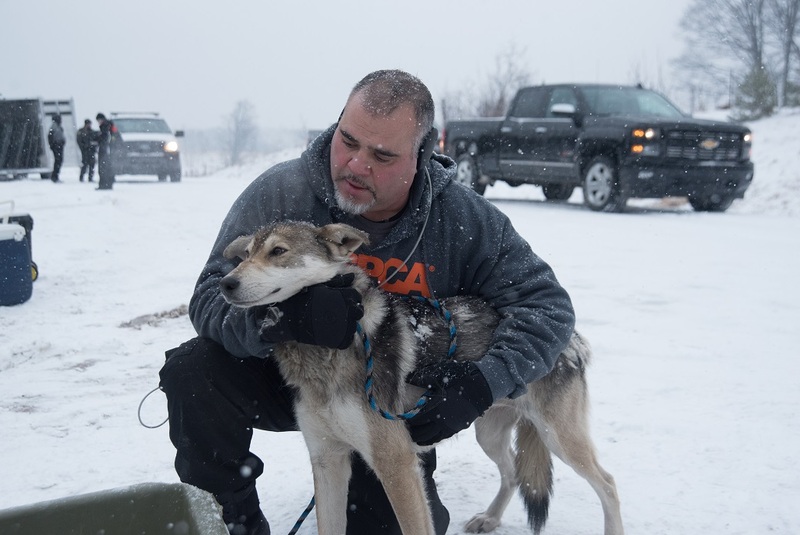 The ASPCA Field Investigations and Response Team moved in on Friday, March 17, at the request of the Forest County Sheriff’s Department. 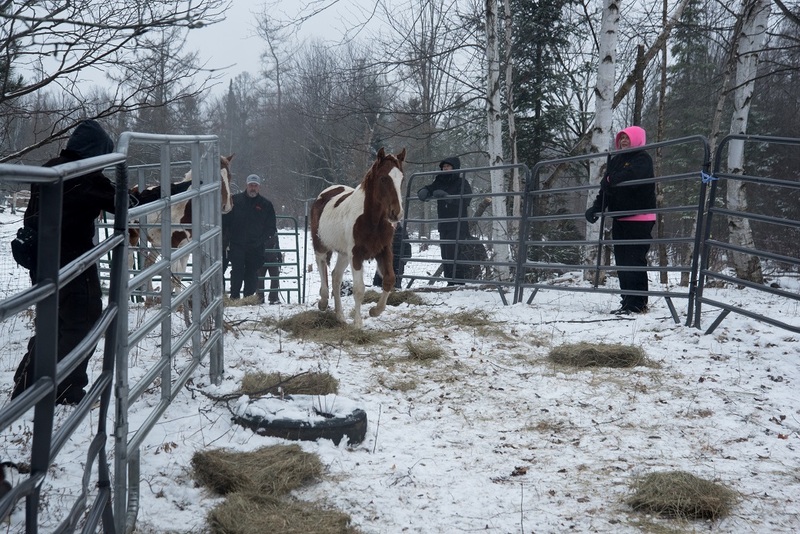 14 horses and 38 dogs were discovered on the property. What we found at the snowy scene was heartbreaking. 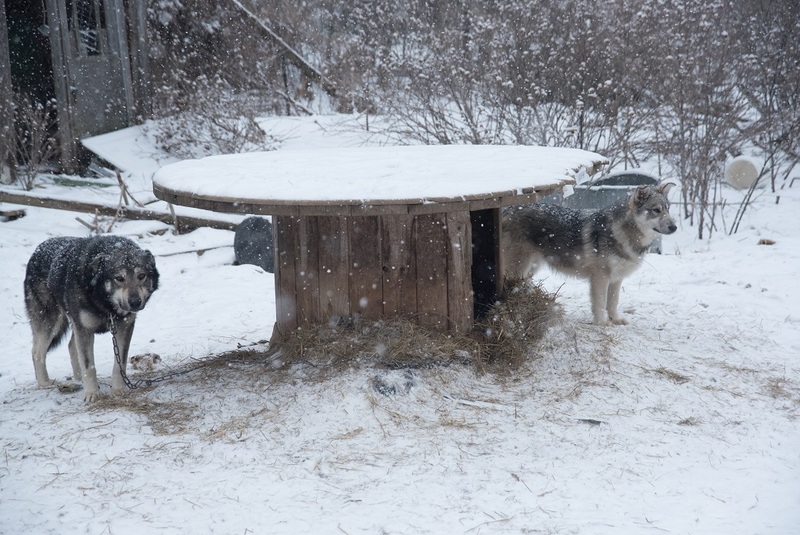 Dogs were chained up and exposed to the elements, without proper access to food or water. Many were suffering from untreated medical issues. 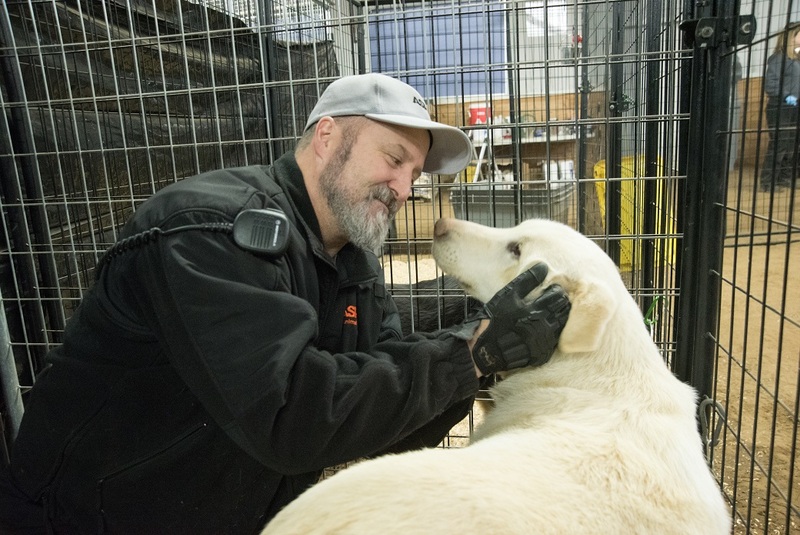 Here, a dog greets an ASPCA responder. 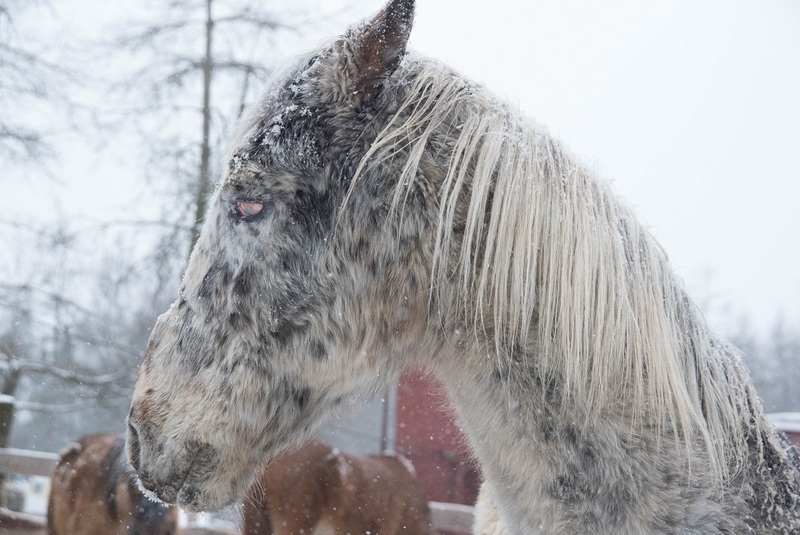 Responders also discovered horses who appeared to be suffering from neglect and malnutrition. Deceased animals were found on the property as well. The owner was arrested on cruelty-related charges, and other charges are expected to follow. 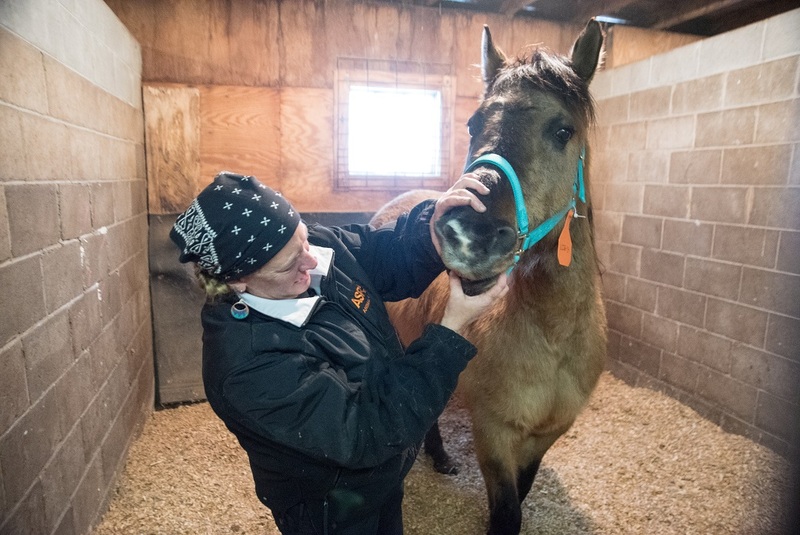 “We’re stepping in because the basic mental, social and physical needs of these animals are not being fulfilled and they are suffering from a very poor quality of life,” said Tim Rickey, Vice President of ASPCA Field Investigations and Response. 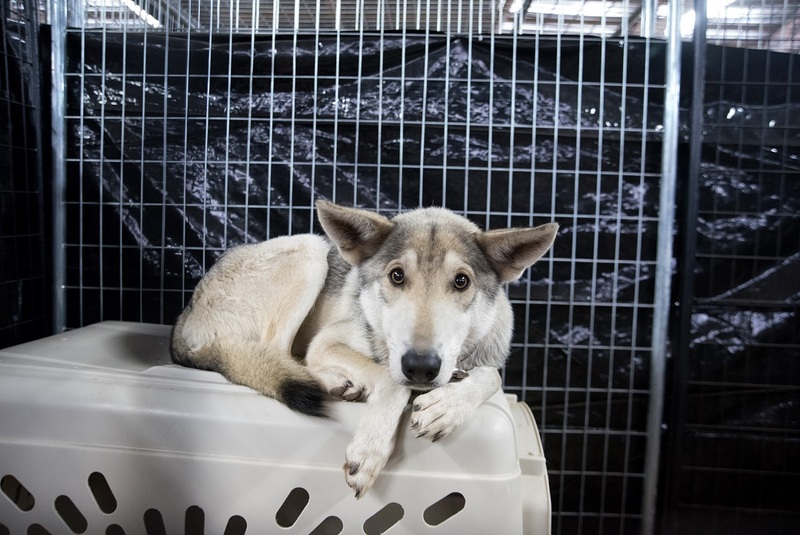 After the rescue, the animals were transported to the ASPCA’s emergency shelter at a nearby location. They are currently receiving critical medical care and behavioral evaluations. We will continue to care for these 50+ victims until disposition is determined by the court, and your support is urgently needed. The animals in this case have been betrayed by the only humans they have ever known, and they are among hundreds of cruelty victims currently in our care across the country. Your most generous gift today will enable us to continue to be there for these and other animals in need at a moment’s notice.